New Mare by Reverie at Urban Betty! 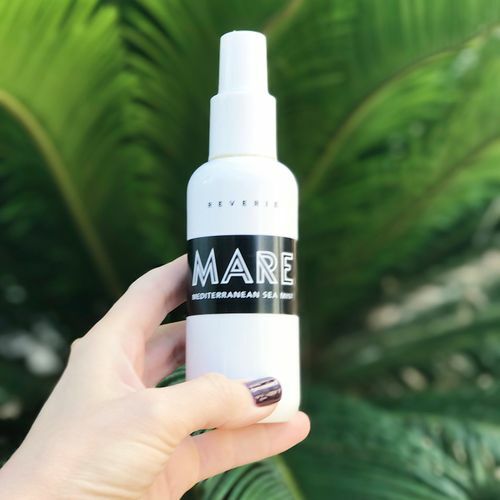 What: MARE Mediterranean Sea Mist is formulated with rice seed extract to add volume and strengthen hair, while algae extract thickens strands, enhances shine and protects from environmental damages. Mediterranean sea salt conditions and amplifies natural texture without dryness or stiffness. The scent of vanilla, bergamot, lemon and almond will instantly transport you to shores of Southern Italy. MARE creates texture, thickens hair and adds volume. How: Shake before each use. Apply to damp hair all over, twist hair into sections, and air dry to create perfect beachy texture. For major volume, apply at the roots and blow out. To create separation and volume, apply mid-shaft through ends of dry hair. FORMULATED WITHOUT SULPHATES, SILICONES, PARABENS, PHTALATES, ARTIFICIAL FRAGRANCE, ARTIFICAL COLORING, GLYCOLS, PETROCHEMICALS, GLUTENS, ANIMAL DERIVATIVES, T.E.A AND D.E.A.